We Repair only Euro Cars. We really love to Service Bmw, Mercedes and Land Rover. We also repair Jaguar, Porsche, Audi, VW and Volvo. We Believe in Repeat Customers! Since 1974, Independence Automotive has offered factory level repair, diagnostics and programming for all British and German cars. We are specialize in BMW, Mercedes-Benz and Land Rover programming. We try to provide better than dealer level service at a lower price. Being an independent shop with smaller overhead helps us achieve this goal. Our Experienced and Certified Technicians, High-Tech Equipment and Dedication to Customer Needs will ensure that your Vehicle is repaired properly the first time. Mr. Arthur Hajinijan is a 5 star magician for Euro Cars. 24 month / 24,000 mile warranty on most of our repairs! Arthur is one of the most professional car mechanic I have meet with for German car. He is very detail oriented and informative and very easy to work with. I recommend him for all my future car work for my Mercedes Benz C300. had an amazing experience at Independence Auto in Pineville this past week. My car had major issues that needed to be dealt with. I feel that Arthur worked with me, and kept me informed every step of the way. He confirmed many issues that I had been suspecting for quite some time. He was extremely knowledgeable…so much so, that I honestly thought that he was the owner of the shop. I felt that he truly cared about me as a customer. I cannot say enough good about my experience! I will continue to remain a loyal customer throughout the life of this car. Maxine Woods. Arthur did a great job repairing my car. He was very nice to work with. I would recommend this place to everyone who needs a car repair and is looking for good prices. If you’re looking for an honest and trustworthy mechanic then Arthur is your guy. I’ve serviced my 325i by several shops here since I moved from Florida. Finally found THE place to have my baby serviced. Worth every penny. Arthur is a fantastic mechanic. He has a wealth of experience and made me feel like family. I had a called around to several area mechanics to replace my power steering pump in my BMW and he gave me the best feeling and quote. He is very genuine and trustworthy and really worked with me to explained what he was going to do. The quote he promised was the price I paid and his work has been working great. 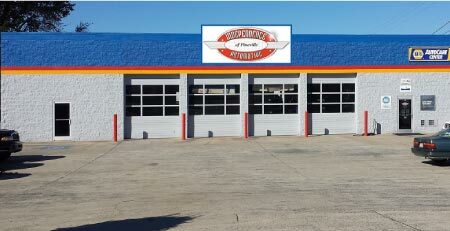 Independence Automotive should be the place where you take your car for fast, friendly, A+ service. When the power steering pump went out on our 2005 BMW 325i one Friday evening, we needed to find someone to repair it asap. Unfortunately 99% of the mechanics that specialize in BMW’s were closed on the weekend. We hestitatly brought it into the dealership and was quoted over a grand for the repair. It was too much for our budget. Thankfully for us, we called around and stumbled upon Arthur and his shop. He quoted us HALF of what the dealership would’ve charged us. Not only was it the best deal in town, Arthur was super knowledgable, honest, friendly, and accommodating to our needs. We needed the car back by Monday so he was able to order the parts on Saturday, came in on his day off on Sunday to repair it, and had it ready for us first thing Monday morning. Super impressed with his work and customer service. He was honest and didn’t try to up-sell any extra unneccessary services, which we deeply appreciated. We highly recommend and will definitely be a returning customer. Thank you Arthur! Please check out our Review Page by Clicking Here.